You can apply for up to 60% of the total project budget. Match funding is required. You can apply for up to 50% of the total project budget. Match funding is required. There is an annual deadline for both categories. This overview is intended for guidance only. The guidelines for the 2017 deadline can be found on the website of the Education, Audiovisual and Culture Executive Agency (EACEA), which administers Creative Europe. 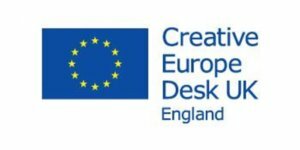 Would you like to help the UK’s creative, cultural and audiovisual sectors access funding and opportunities from Creative Europe?